I’ve always liked how surfing snaps you back into a relationship with the natural world. You can live in the most urbanized environment, yet the moment you paddle out you’re in untamed nature. These are layers of fossilized oysters forming a ledge at the base of the bluff south of the Del Mar Rivermouth. There was another softer bed similar to this high up on Mount Soledad in La Jolla and an old man who lived there said the oyster shells were left by Indians who harvested them and cooked them for food. “They had a real nice spot here,” he said. Not sure if these Del Mar shells were from a similar event or if that’s even true — these may have been growing here under water and uplift raised then to their current location — but it’s an example of how the edge of the sea is a yet wild portal to a universe free of human influence. I feel so lucky I learned to surf here in San Diego as a young kid and have all those fine memories of living like Tom Sawyer at the beach in the waves. I hope this life never ends, but I know one day everything does. I’ll enjoy it while I still can. 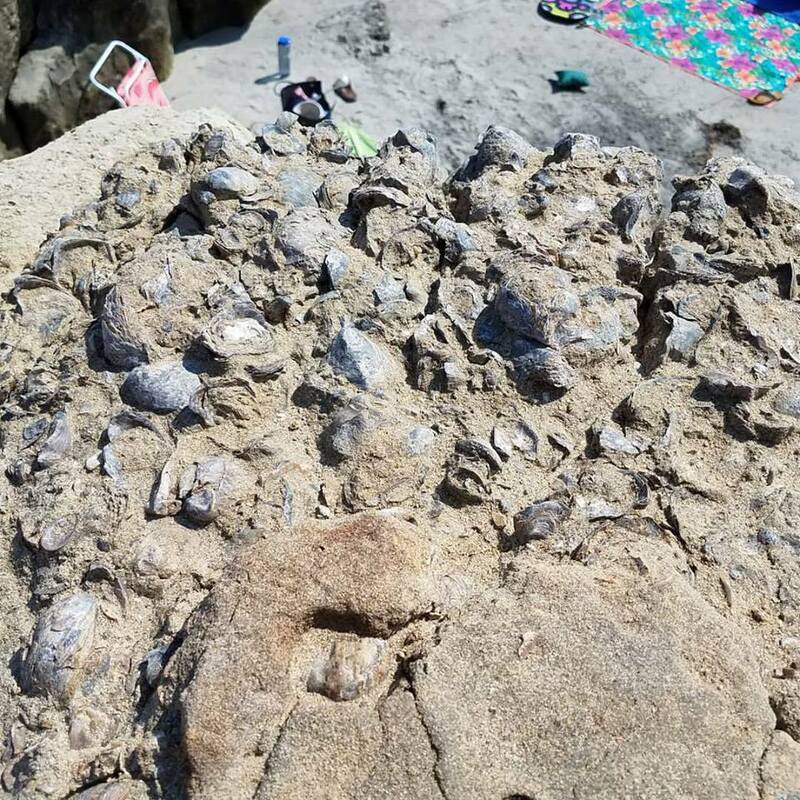 Fossil oysters at the beach.